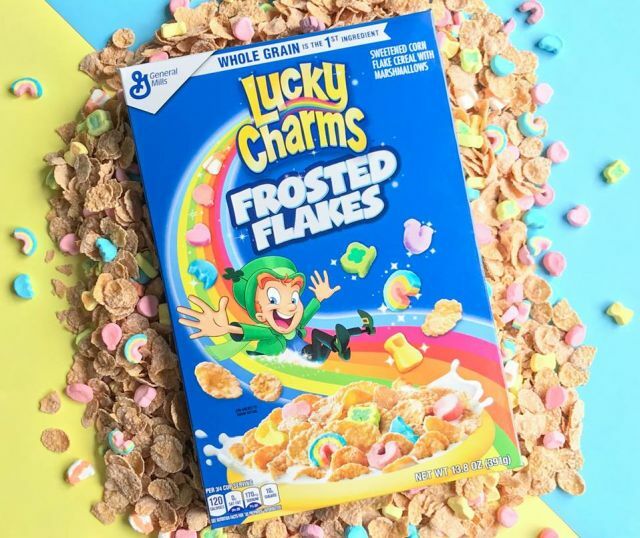 General Mills combines sweetened corn flakes with colorful marshmallows in new Lucky Charms Frosted Flakes cereal. It should be noted that while the new cereal contains frosted flakes, it does not contain Kellogg's Frosted Flakes (i.e. 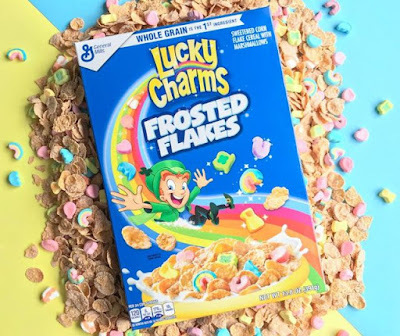 it's not the result of a partnership between the two rival cereal makers). You can find 13.8-oz and 20.9-oz boxes at retailers nationwide.